When we moved to Beijing we had a little farewell party in London. 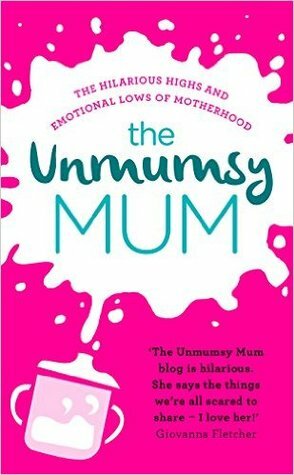 One of my mommy friends gave me a book: The Unmumsy Mum. After two years I have pulled it out of the closet and read it. Shame on me for waiting two years, as this is one of the best parenting books I have ever read, but I’m also a bit happy, as I was able to shape myself as a mommy blogger before finding one of the coolest mommy bloggers ever. Sarah Turner is one of the most honest moms out there, and in this book all her blogs come together. It is the most hilarious and informative book for parents. This book should come with the Moses basket (the one you will never use.) We should basically gift this book before people pop out little people. Turner is wittily self-deprecating, and many situations she writes about resonate with my life as a parent. I believe they will resonate with many moms out there. She describes the park visits, and how kids act like complete idiots sometimes. Parenting is not always sunshine, but can be hard, and dirty, and not always appreciated by your brood. Next time you are in Europe or the US, get your hands on this book. It will make you feel more human. It offers solidarity without judgment, and that is exactly what we need sometimes as parents. Read more about her parenting struggles here.